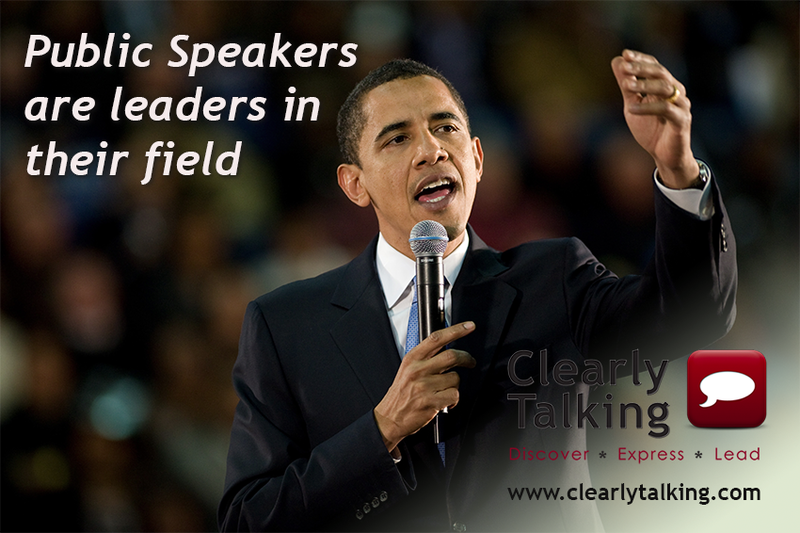 Image of President Obama, left hand outstretched and speaking into a microphone held in his right hand. The background is of a crowd out of focus. 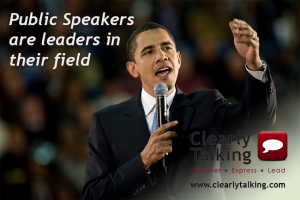 The caption, “Public Speakers are leaders in their field” the Clearly Talking logo and web address: www.clearlytalking.com are superimposed.